The program is a partnership between the department and the Nebraska Bankers Association. It was created to prepare students for a career in agricultural lending and to encourage graduates to work in rural Nebraska communities. It is the only program of its kind in the nation. Students major in agribusiness, with a banking and finance option. More information about courses is available here. The Nebraska Bankers Association provides scholarships to upperclass and transfer students in the program. To receive the scholarship, students must maintain a 3.0 grade point average. Since the program was established in 2006, the NBA has provided over $785,000 in scholarships to over 500 students. 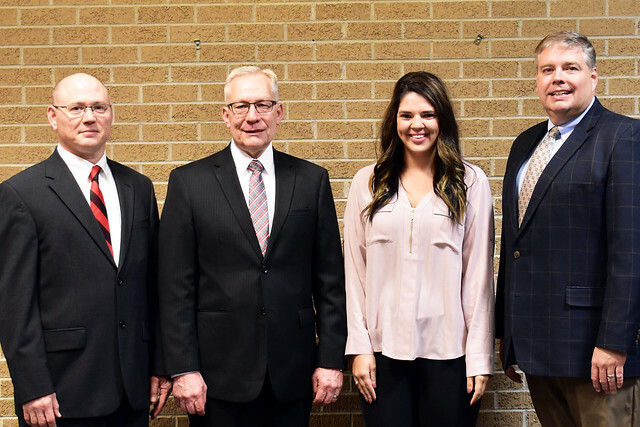 Students who are at the junior level in the Agricultural Banking and Finance program are required to complete an internship through the Nebraska Bankers Association. Students must have taken accounting and the agricultural finance course to meet eligibility for an internship. Students planning an internship for the following summer will be identified during the fall semester. The Nebraska Bankers Association will work with member banks to identify those banks interested in sponsoring a student summer intern. Interviews and arrangements for internships will be completed early in the spring semester prior to the summer the student internship is to be completed. Internship guidelines are below.